Tete à Tete is the annual explosion of music theatre of all shapes, styles and hues. This year’s first night brought three typically wide-ranging shows. Featuring cast members who have experienced homelessness, People Watch is in effect Gogglebox: The Opera, with a cast of around 30 settled into sofas and armchairs for an evening’s viewing. The banality of television – the celebrity reality shows, the ads for cleaning products, performing pets – comes over strongly, but the ending is a rousing chorus of hope and of TV’s transformative powers. The subject of first night’s second show is the Jamaican heroine Queen Nanny, the spiritual and military leader who led the Maroons into battle with the British in the 1720s. Sung and danced with grace by Abigail Kelly (accompanied by three additional dancers), it has a satisfying episodic feel, connected by (not very audible) narration. Live drums and muted trumpet create atmospheric effects, but sadly the score is largely rendered by electronic keyboard sounds. A further small group of live musicians would have made all the difference, but Kelly’s natural musical abilities emerged unscathed. Tim Benjamin’s double bill, Life Stories, is a pair of affecting monologues. 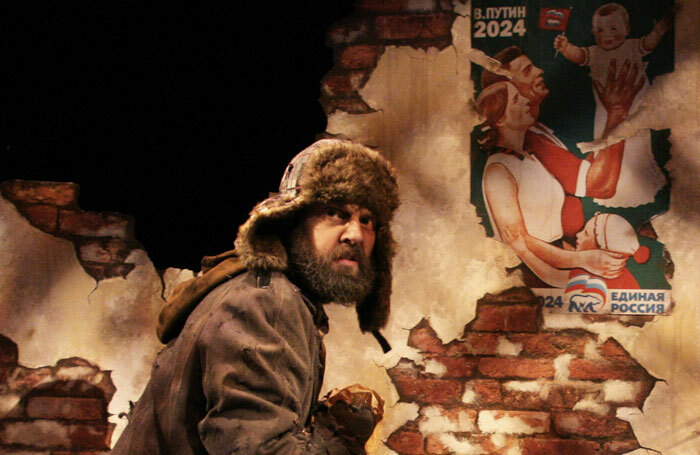 The first is from Ezdeyev, a homeless Russian man whose life falls apart through drink, gambling and ill health. Bass James Fisher responds well to the fragmentary, stream-of-consciousness text and brings refined acting. The writing in the second monologue, for Amy – a rejected 18th-century middle-class lady turned highwaywoman – is less convincing overall, yet Taylor Wilson inhabits the role completely, and produces a death scene of rare power that is profoundly tragic and deeply credible.